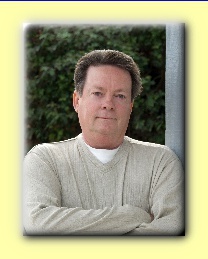 Over the past year and a half, Phoenix-based mystery writer Michael Murphy and his publisher, Alibi (a division of Random House), have issued three novels in Michael’s Jake & Laura mystery series. I’ve read them all, and I gladly recommend them to you. The latest, Wings in the Dark, incorporates all the elements that make these books such fun – exciting locations, colorful characters (including a few drawn from the pages of history), snappy dialogue, and mysteries worthy of the name. 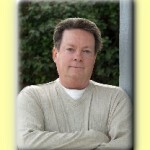 Each novel is written from the point of view of Jake Donovan, a former private eye turned mystery writer. He’s done well with a series of novels about Blackie Doyle. By the time we get to novel three, he’s also persuaded the love of his life, Broadway actress and movie star Laura Wilson, to marry him. 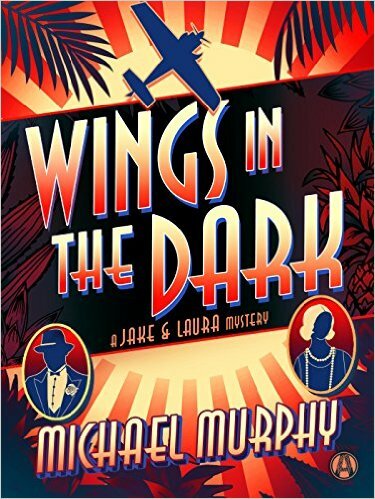 Their trip to Hawaii in 1935 was meant to be their honeymoon, but as always seems to happen to Jake, he gets pulled into a murder investigation. This time, the victim is a local businessman who’s helping to bankroll Amelia Earhart’s historic flight from Hawaii to the U.S. mainland. Jake has supposedly given up sleuthing, but his work moves the case along farther and faster than anything done by the Hawaiian police. Laura’s okay with Jake’s involvement for two reasons. She’s a bit of an amateur detective herself. More important, if the case isn’t solved, her friend Amelia could be the killer’s next victim, and Amelia’s history-making flight will never occur. There are plenty of suspects – Hawaiian royalists, who resent the growing prominence and power of the U.S. in the islands; the Japanese government, who believes America is building a Pacific empire that must be stopped; Amelia’s female mechanic, who has aviation aspirations of her own; the victim’s brother, who got short shrift in the family will; and a few more. Amelia and her husband, publisher George Putnam, play prominent roles in the book. George Patton also makes a few appearances, and his proximity to a successful close to the case just might have contributed to his promotion from colonel to general! If you’re a fan of Nick and Nora Charles, you’ll enjoy Michael’s work. The fourth book in the series, The Big Brush-Off, will be published next February. Do yourself a favor. Read the first three between now and then, and you’ll be salivating for the next book. Click on these links to read my thoughts about the first two novels, The Yankee Club and All That Glitters. This entry was posted in Arts & Music. Bookmark the permalink. Thanks, Peter. I’m really enjoying creating the journey of Jake and Laura.